With this version of Oldtimer's Haze, we offer you a selection of Green Haze phenotypes. Their roots comes mainly from green colombians, thai and southern indian sativas, within the original genotype of Haze population. 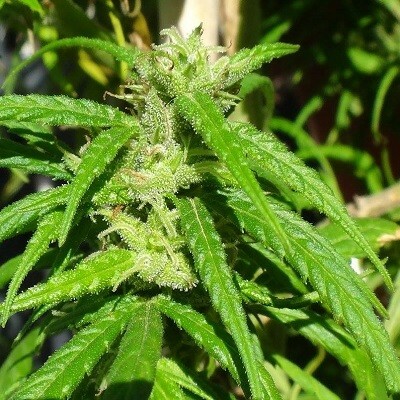 Green Haze differs from Purple Haze due it is completely green when ripens (even though the flowering takes place with low temperatures), for its aromas of ripen tropical fruits, and for having a more energetic, euphoric, open and sociable effect than the purple phenotypes. Hybrid of tropical sativa from the 70’s, mainly green colombians, indian from Kerala and Thai. Extreme tropical sativa with a very thin pale green leaf. Very thin and flexible stems that withstand the worst downpours and blizzards. Woody, spices, incense and ripen mango. Old school sativa aroma. Mental, stimulating, sociable and euphoric effect, without limits of tolerance due to its high THC/CBD ratio. 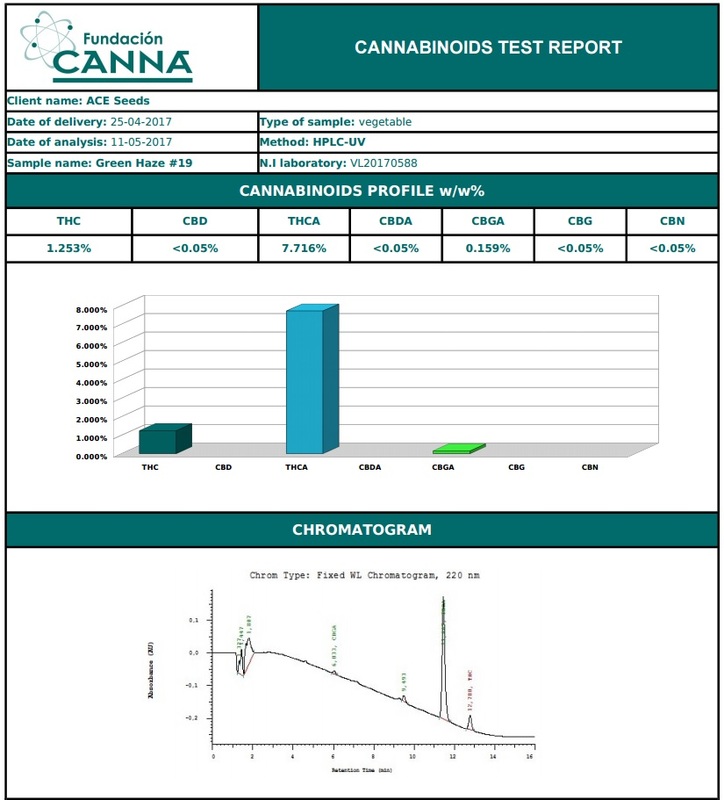 It mainly contains the following monoterpenes: high amounts of beta myrcene, moderate quantities of trans ocimene and alpha pinene, and small amounts of beta pinene. 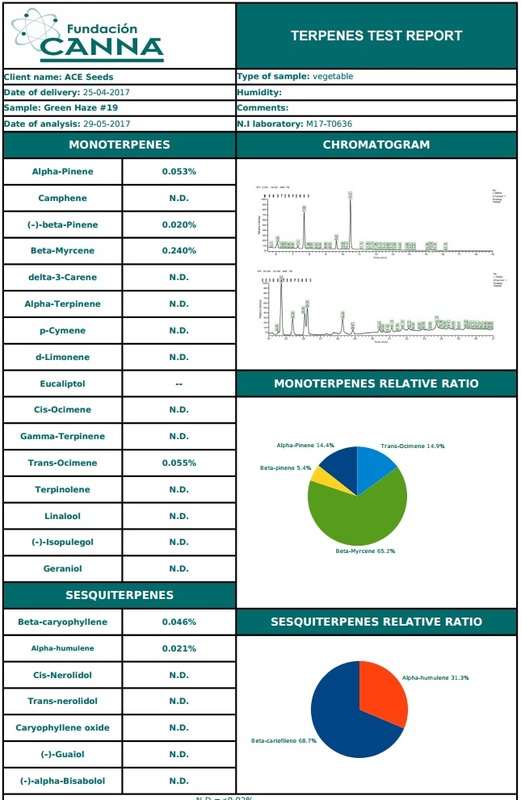 Sesquiterpenes: two thirds of beta-caryophyllene and one third of alpha-humelene. For indoor growing, due to its extreme tropical sativa genotype, we mostly recommend her for the extreme sativa lovers, for breeding projects or for seed production. We recommend 11 (light)/13 (darkness) photoperiod for the flowering indoors, in order to boost the flowering, and to avoid reflowerings or excessive stretching in early flowering. Even reduce the photoperiod to 10/14 from the second half of flowering to favor its complete maturation. 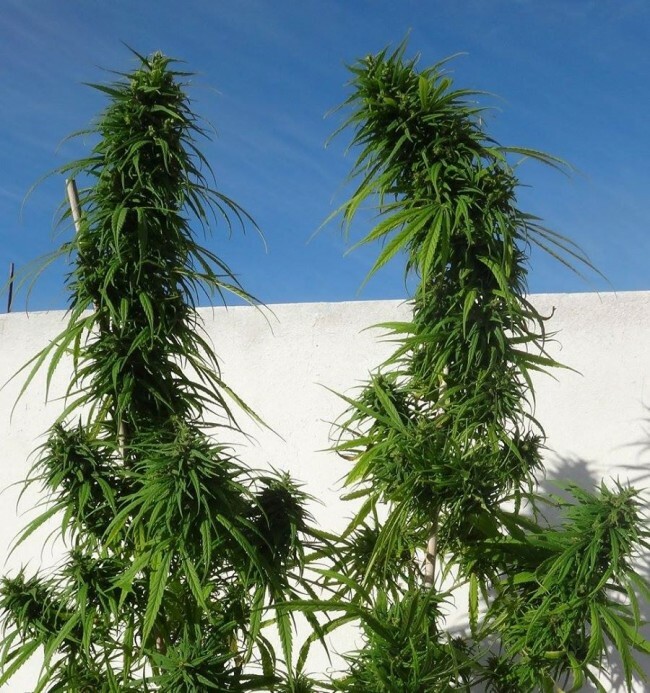 Highly recommended for SCROG, horizontal or network growing due to its excellent yield in the lateral branches and its vigorous reaction to pruning. For outdoor growing, it requires a tropical or subtropical climate in order to reach its full potential. However, it can easily be grown within latitudes of 20º-37º, where we recommend a warm and coastal climate. The use of a greenhouse is very helpful for its correct ripening in non tropical latitudes. 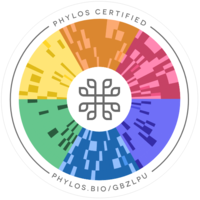 Genetic analyses performed at Phylos laboratories show that Green Haze has a very rare genotype, of extremely low genetic variability, showing direct kinship mainly with old Colombian sativas and Panama strains. Due to its extreme stability, it requires low levels of nutrients, especially of nitrogen. For outdoor growing, it’s best to mix a good base of organic soil, rich in guano and worm casting, and then place the plants in a sunny place and leave them to grow at their own rhythm, almost without using fertilizers or stimulators. 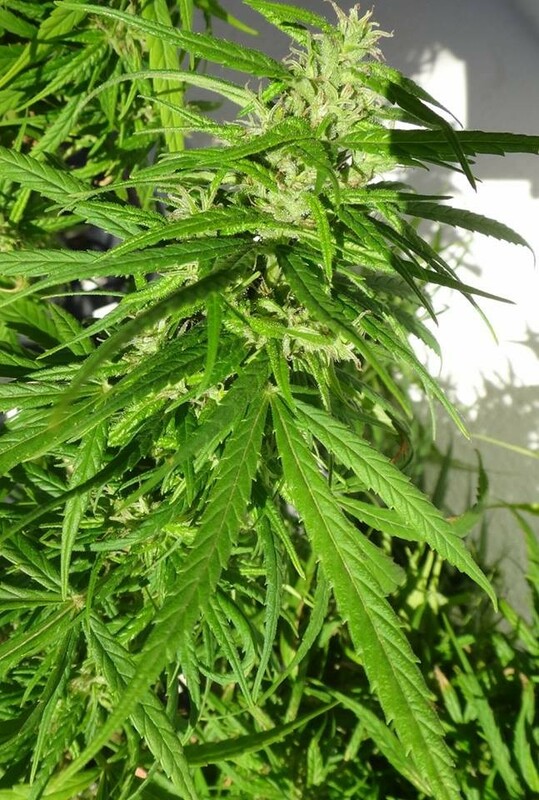 It is a very dominant plant in breeding projects, which shines again with all its vigor and original splendor when it is properly crossed with other strains, producing extraordinary hybrids with the mythical taste and effect that have made this sativa world-famous. If you want to grow strains with the best traits of our Haze parental plants, which maintain their essence of tropical super sativa, but showing much more vigor, yield and potency, then we recommend Haze dominant hybrids, such asPurple Haze x Malawi, Panama Haze, Haze x Kali China, Green Honduras Haze or Purple Honduras Haze.